ThisÃÂ third edition of Bill Ransom's classic short textbook provides a solid introduction to the study of defects in buildings and, in consequence,ÃÂ to good practice in conservation and repair. Building failures continue to occur despite continuing experience and growing knowledge in the industry; they may even be on the increase due to cost-cutting measures, the inadequate testing of innovative products and techniques, a lack of maintenance, and user abuse and misuse. New material includes an outline of the principles of building pathology; new sections on deterioration mechanisms, service life prediction and dampness investigation. 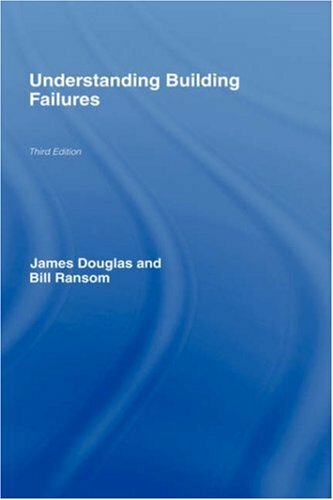 Complete with a handy glossary and bibliography, practitioners and students will find this an excellent source of guidance and information for investigating and avoiding building failures.